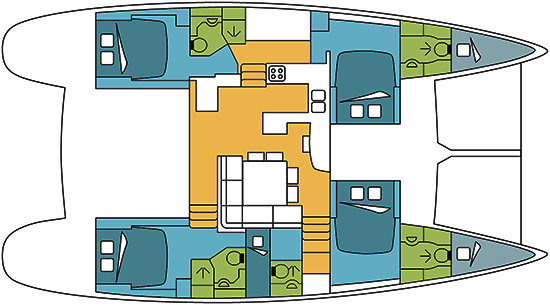 Located in Olbia, Sardinia, this bareboat catamaran Lagoon 500 (2 single , 1 twin and 4 double cabins), built in 2011 by Lagoon Catamaran, is capable of hosting up to 12 passengers. 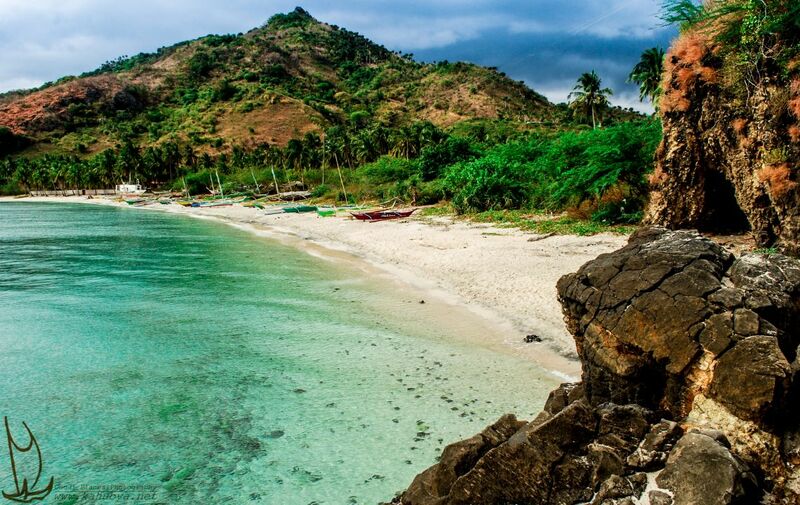 Further more, and for a complete bareboat catamaran charter journey, the Lagoon 500 comes with air conditioning, BBQ, electronic on board, equipped galley, watermaker and also CD. 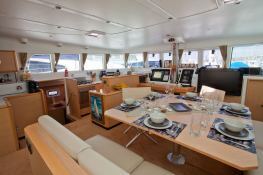 This catamaran is available for bareboat charter with a base price of 4 300 € (approximatly 4 849 $). 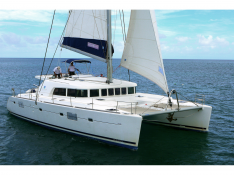 boat Lagoon 500 Lagoon Catamaran yacht charter reviews : 5 out of 5 based on 1 rating. 1 user reviews. 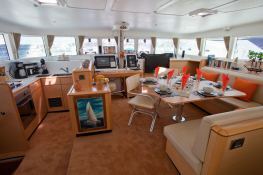 We Chartered a Lagoon 500 Catamaran last Christmas. The Cat was first class. Spacious, fully equipped and very comfortable. Our skipper Nelly was excellent. Boy did she know how to handle that beast - especially when a storm blew in! She was great with our children and took them snorkelling (adults backed out as choppy!!). She advised us where to eat/visit and totally looked after us. 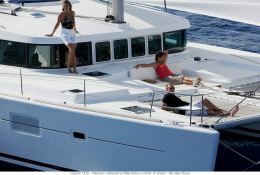 We recommend Winward Yachting without hesitation. From our initial contact with Cyril, who kept us informed and was very professional and helpful right through to our arrival. We will definitely sail with them again.